Jclombardi reviews Packers and bloggers headlines. 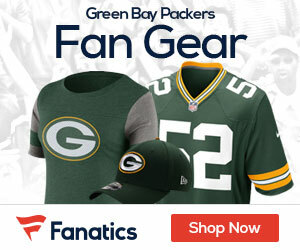 Preview: Football Gameplan’s 2010 NFL Team Preview–Packers. Lambeau field area expansion: Packers spent more than $27 million in the last five years to acquire more than 28 acres near Lambeau Field [to] become part of a multi-jurisdictional sports and entertainment district. Also, see “Packers spending big on property near Lambeau”–Packers haven’t said much about what they’ll do with the property. Possibilities include retail, hotels, restaurants, youth sports and health care facilities. Packers by position: Nausating fluff! Yet, it’s a good precamp review. Rodgers primed for NFL’s QB elite. QB Rodgers: Leader of the Pack. Packers feel healthier tackles, improved young talent bolsters offensive line. O-line wants to pick up where last season left off. Packers Finley shows promise as star TE. Packers have high comfort level with receivers. The Packers can have an optimal mix with this talented receiving corps to simply outscore opponents in the early part of the 2010 season. Jolly failed 20 drugs tests? : Believe it or not, bloggers are quoting from the Miller Lite Football Show that Mark Chmura revealed that Jolly failed 20 drug tests. Speechless indeed! Training camp preview: Packers training camp: Offense preview–good offensive training camp preview with possible members of the final roster. Metaphor failure: This amusing story about the use of proper metaphors goes to the bloggers’ file saying, “I don’t get it folks.” From All Kinds of Time blogger: When Thompson let Favre go, he risked a gloomier present in exchange for the possibility of a rosier future. While Thompson certainly gambled his future with the Packers, he hardly mortgaged his future. Rooms to rent to attend training camp: Somebody in Green Bay area find a room for AT at PL who says “I still don’t have anywhere to stay. Yet, but I’m going come hell or high water” We feel your pain. We agree that Green Bay should have rooms ready for the bloggers from the Packers nation. Roster rankings: Scout had another part 12 of roster rankings. Read with amusement. Bang for the money: Packer Update’s “Not Enough Bang for the Buck” has the six worst TT’s Sherman-type money deals. Fans can decide if he is right. Neal signs: Packers announced that they have signed Neal, the team’s second-round pick in the NFL draft last April. Neal is a DE out of Purdue becomes the sixth of the Packers’ seven draft picks to sign. Left tackle Bulaga, the team’s first-round pick, is the only player without a contract.